Physical therapy is not just meant for helping people recover from an accident or injury. It is also used in controlling age-related problems like fatigue and arthritis. In most cases, seniors need assistance with improving their range of motion, flexibility, balance, and strength after a fall. Also, the risks of losing the functioning of muscles and limbs, independence, as well as difficulty in carrying out daily activities are some of the reasons to opt for physical therapy. As people age, they start to have problems with their motion and mobility. However, physical therapy can significantly improve these two issues. At least, one in every four Americans aged 65 will live to 90 and will truly be able to stay fit within that period with the help of a physical therapist. Apparently, instructing seniors on how they can restore their balance, flexibility, and strength is one of the most important ways physical therapists can help seniors. 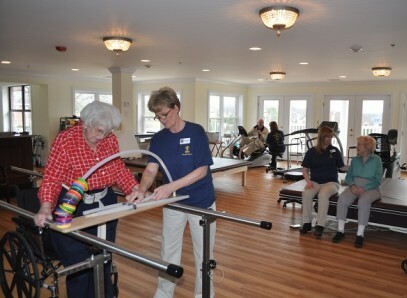 Here are some types of physical therapies for seniors. Cold therapy: This is the use of ice packs to get rid of swellings and pains. Heat therapy: This relaxes the muscles and improves blood circulation before exercise. Manual therapy: This is when a physical therapist makes use of his or her own hands to improve flexibility, reduce pain, and relax the patient through massage. Hydrotherapy: This is when therapy is performed in the water to relax the body, increase blood flow, heal soft tissues, as well as treat diseases. Electrical stimulation: Here, electric current is used to create desired effects like scrambling pain signals so as to cover the feeling of pain in the body. Ease pain and swelling: One of the primary reasons why people consult physical therapists is to relieve pain and swollen parts. Physical therapists perform this function using a variety of treatments available to them. These treatments range from exercises, manual therapy, cold therapy, to heat therapy. In most cases, a combination of these treatments is used along with other treatments. All these are aimed at easing the pain, strengthening the muscles, relaxing the body, and making the body more flexible. Treat conditions that affect seniors: As we age, there are a lot of health conditions that affects the body. Some of these conditions include Alzheimer’s disease, arthritis, stroke, incontinence, Parkinson’s disease, osteoporosis, and Chronic Obstructive Pulmonary Disease (COPD). Physical therapy can be effective at treating these conditions by targeting aspects of the body like coordination, balance, range of motion, strength, etc. Prevent falls: The leading cause of severe physical injury in seniors is fall. The American Academy of Family Physicians revealed that about 30 to 40% of community-dwelling adults that are older than 65 years fall every year. These rates are even higher for nursing home residents. Seniors are faced with the dangerous nature of falling. However, falls can be prevented from happening because physical therapies improve your balance and make you more flexible, stronger, and coordinated. Each of these things reduces the risk of falling. Live independently: Because physical therapies ease pain, treat health conditions affected by seniors, and prevent falls, it can be deduced that physical therapies make seniors more independent.